Last year I decided to make an experiment with youtube. 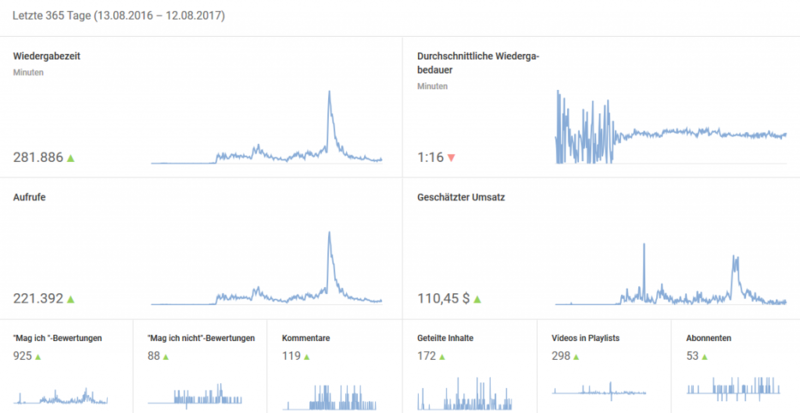 I wanted to check out if I was able to earn money with it and get some values regarding how many views/clicks are neccessary to get some money. To do so your youtube account have to qualify for monetarization / Youtube Partner Program. Your channel have to have at least 10.000 views to qualify for this.